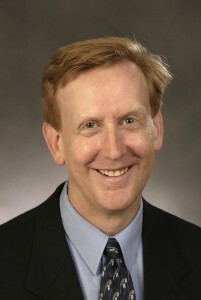 Richard Gunderman, Professor of Radiology at Indiana University, is passionate about his work. At the recent RSNA meeting in Chicago he urged his fellow radiologists to bridge the gap between the invisible and the visible, the unknown and the known. “To achieve our full potential, we need to attend to the invisible aspects of our craft, the unseen but vital features of patients not revealed by our images. Without images, we are blind, but with images alone, we cannot see as deeply as needed. To do this, we must explore the story behind the image”. Gunderman shared the story of a patient presented to him for diagnosis, an 89-year-old man who had a history of dementia and had suffered multiple falls. Based on the computer tomography (CT) scan of his patient’s head, Gunderman diagnosed him with bilateral subdural haematomas and then moved onto the next case. He did not realize the man behind the CT image was Charles Huggins, who had been awarded the 1966 Nobel Prize in Medicine for “his discoveries concerning hormonal treatment of prostatic cancer”. He had failed to marvel at the story that lay behind the CT images. 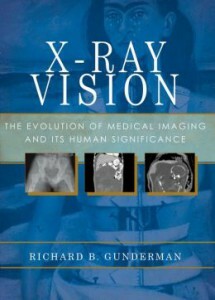 Gunderman has written a book about imaging entitled X-Ray Vision that is filled with stories about the scientists and physicians who developed the imaging techniques that have opened up remarkable new windows of the human body. “It’s quite ironic that as a small boy, Ringo Starr almost died of a condition — appendicitis — that today we routinely identify with CT imaging. And, it was the incredible revenues generated by the Beatles’ record company EMI that made it possible for an EMI engineer, Godfrey Hounsfield, to produce one of the most important innovations in medicine of the 20th century, the CT scanner”. Gunderman recounts how Wilhelm Röntgen and Marie Curie would have been astounded at the sophisticated ways that electromagnetic radiation was now being used to visualize the internal structure and function of the human body. He describes the example of PET/CT which combines Curie’s insights of radioactivity and Röntgen’s discovery of X-rays to generate fused visual representations of anatomy and physiology, enabling radiologists to determine whether a lesion is malignant or not. When Huggins made his initial discovery his heart was pounding so hard he could not walk home. At age 89 he could not walk across the room without falling. It’s the story behind the images that really counts.